Love At First Sight is an oasis for your maternal experience! This professionally innovated facility is nestled within the heart of Baytown's voluminous medical service complex. 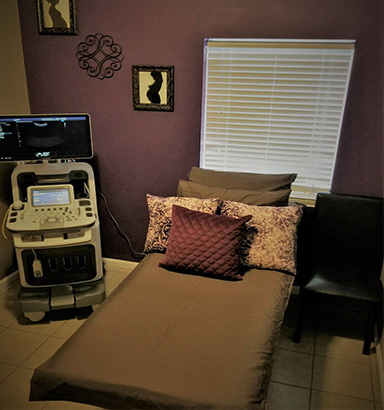 Our desire to provide an intimate studio setting was envisioned by our very own registered sonographer. Our sonographer is a seasoned veteran with sixteen years of experience in medical diagnostic ultrasonography. We are registered with the American Registry for Diagnostic Medical Sonography and Cardiovascular Credentialing International. We also obtain licensure in the registry for Nuchal Translucency Quality Review. 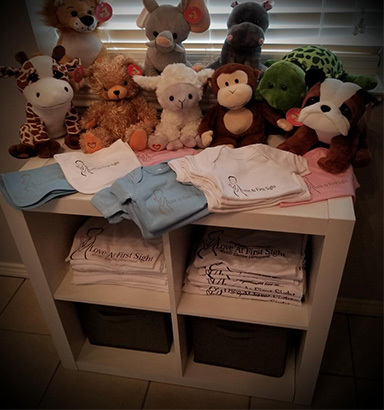 Our foundational statement "Where love is felt before it's seen" is the bridge that connects your initial emotion of confirming pregnancy to the live documentation of your maternal journey. Utilizing state of the art ultrasound equipment, we use the HD Samsung A35 ultrasound unit. This enables our sonographer to provide you with advanced exemplary imaging in 2D, 3D, 4D, HD and live streaming. To enhance your experience, we provide a celebratory room for baby showers and gender reveals. 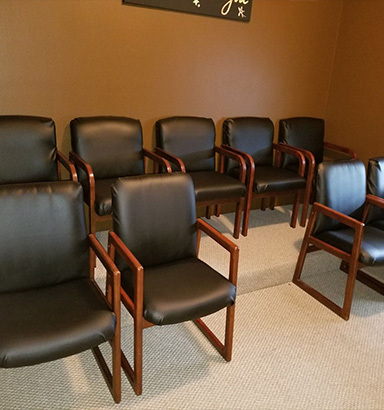 We provide an exclusive viewing room with theater seating coupled with a glamorous boutique offering variety of items that will meet your maternity needs. We believe that every guest should embrace themselves in the miraculous possibilities that our studio will offer you.